Github integration allows you to host your repositories, see source commits, and make code changes. And so, now you can view all the changes made in your Github repository in Zoho Projects. 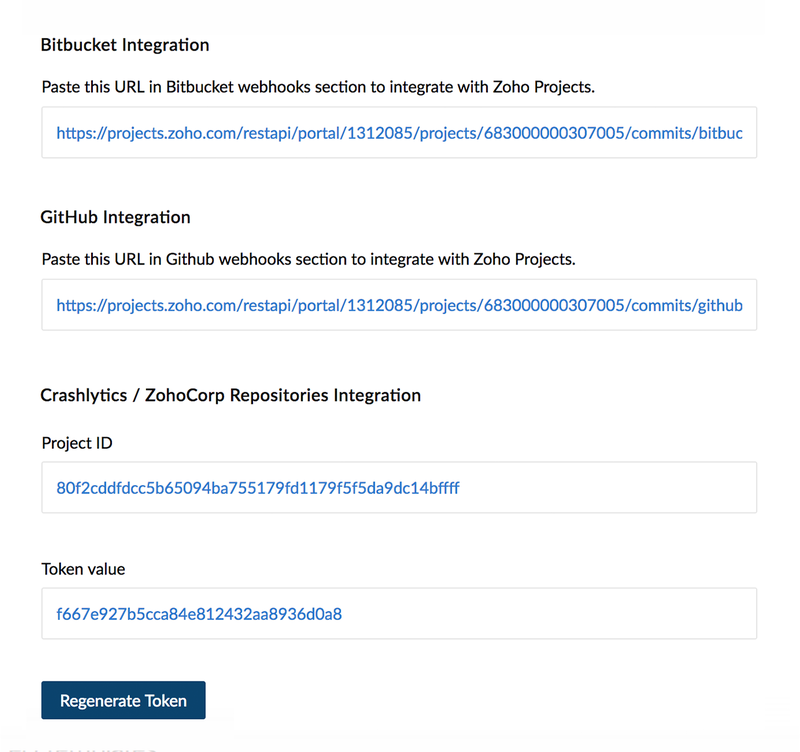 You must copy the Webhook URL in Zoho Projects to map the specific project with Github. Navigate to Setup > Integrations > Develper Space > Service Hooks. 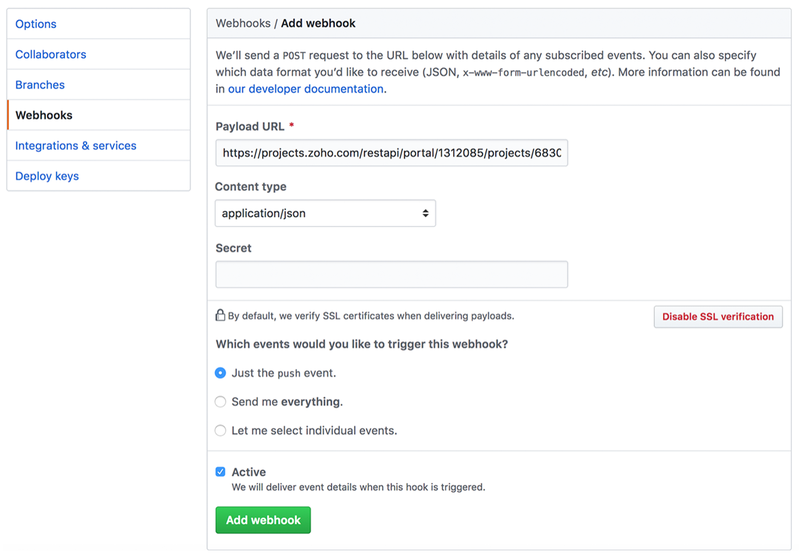 Copy webhook URL from GitHub Integration paste it in GitHub. Login to Github with your login credentials. Click Add Webhook and paste the URL. Click Edit to modify the code as required. In Commit changes modify the required details, if required. Click Commit changes to save and submit the commit changes. In Projects, select the required project, and then click Issues. 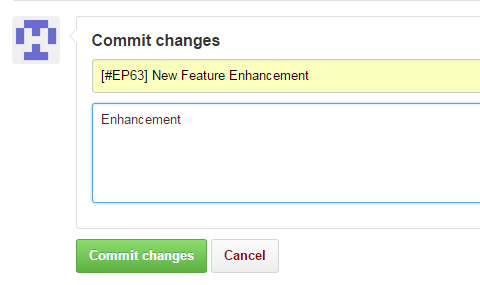 In List View, click the desired issue to view the commit changes history under Changesets. In Projects, select the required project, and click Issues. And then click and then click Changesets to view all the changesets for the project. If you specify a Issue ID while committing changes in Github, the commit message automatically gets linked to that particular issue in Zoho Projects. Syntax: [#ISSUEID] followed by commit message. Example: [#EPI19] fixed the memory leak issue. This will associate the changeset for the issue with ID EPI19. To associate more than one issue, provide the ISSUE IDs separated by comma.